Watergardens are the home of many different water features in and of themselves including pond fountains, water fountains, water spitters, and unique fountain placements that compliment the watergarden’s overall design. 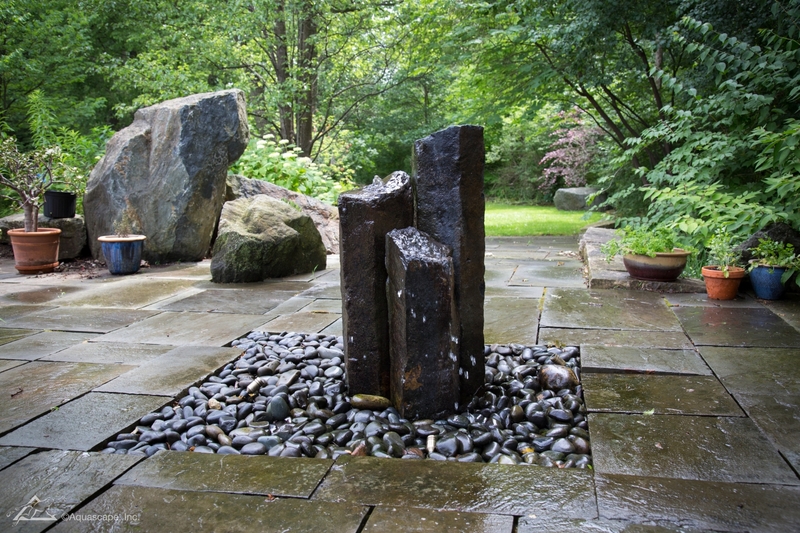 Sometimes adding in a fountain can add a focal point to the watergarden and provide a relaxing moving-water atmosphere. Watergardens are unique in the aspect that they can be designed in a way that compliments the landscape provided. Many watergarden features don’t have water at all. We call these Fire Fountains. Some fire fountains include water, and some don’t. A few of our water features have the capability of both! 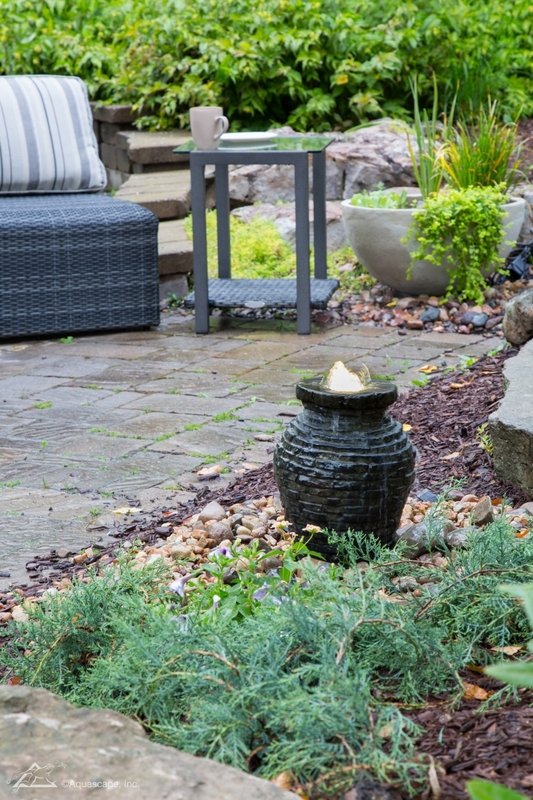 When considering which fountain to place inside your watergarden, try to think of where your guests will walk around. Are they on the patio? Is the fountain close enough to the watergarden and your guests? When we install a new watergarden, we consider all aspects of the design to create a feature that will be both pleasant to your guests and your family. Watergarden lighting doesn’t have to be just for waterfalls or for you to see your fish! Many aquascape urns already have lighting inside the feature so that you can enjoy it even at night. 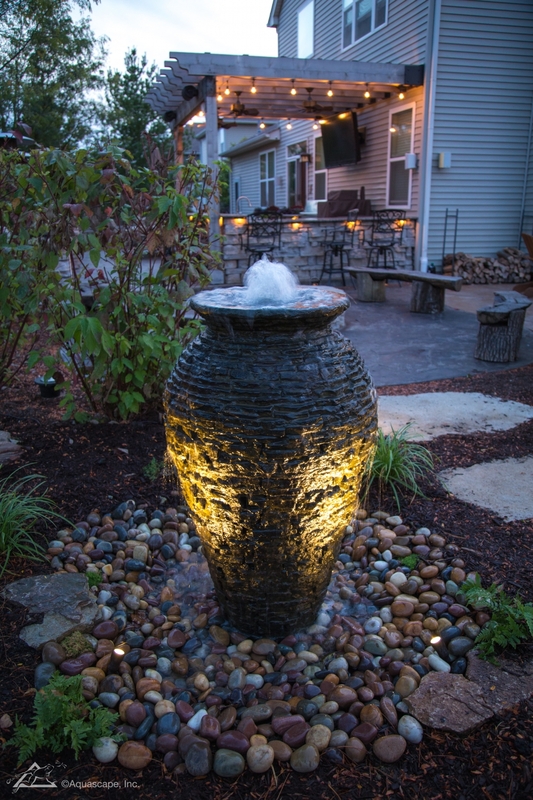 Imagine a backyard water feature with the focal point being a stunning display of water, fire, and light. Paradise is just around the corner with our beautiful water features. 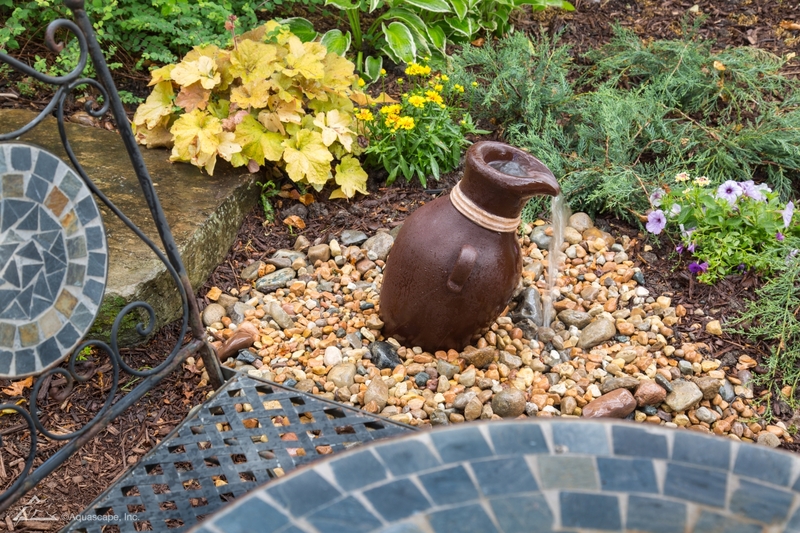 If you’ve already designed installed your water feature with our DIY pond kits, try adding in a fountain on the other side of your property. 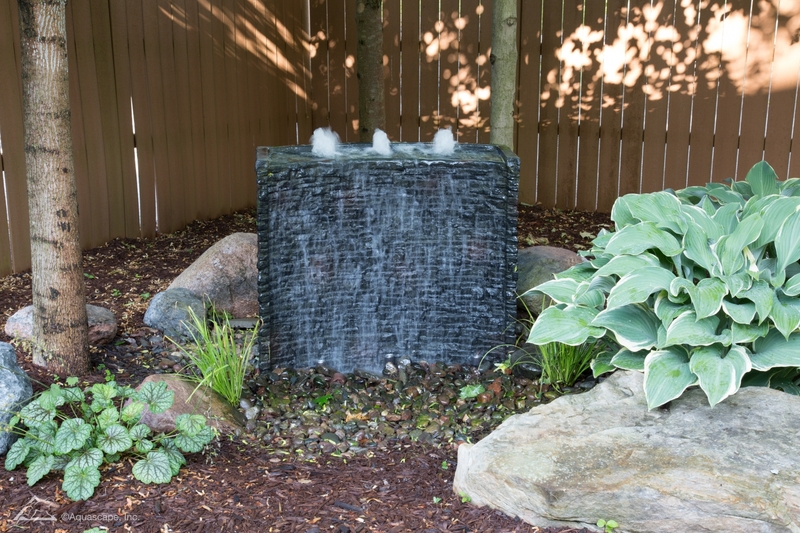 If your watergarden is in your backyard, perhaps you could welcome your guests in your home with a beautiful water feature right beside the front door. 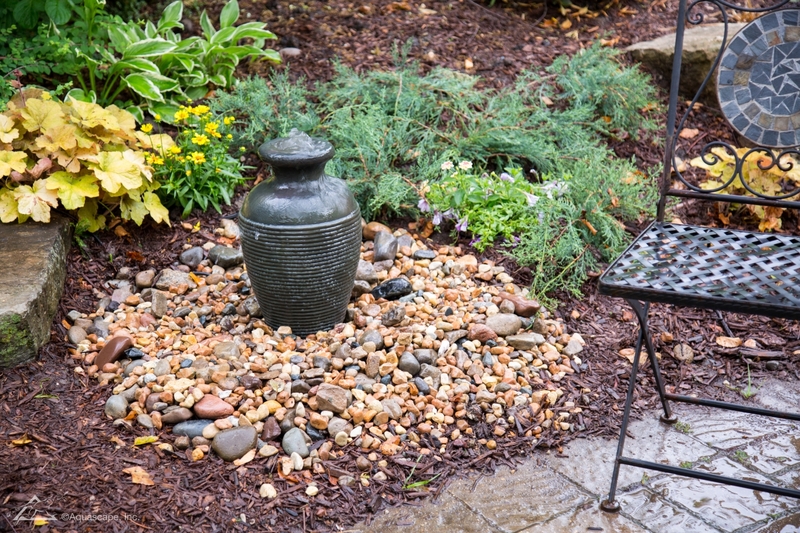 These pond features are simple to setup, and maintenance is a breeze. Imagine coming home to the sounds of a relaxing water feature beside your patio. The sounds of moving water, and the flickering of fire creates an ambiance unlike no other. Our fountains are always dressed to impress! Notice the pebbles that compliment the watergarden. When picking out the surrounding landscape, think of various aquatic vegetation and plants. With a wide variety of plants to choose from, it can be difficult to pick out the right ones for the environment. Does the watergarden provide water to the plants? How much is too much water? How close should the vegetation be? We answer and help you through the difficult part! Some of the most unique water features in the world can be found right here in our store. These features can be placed anywhere you desire. Uninhibited by landscape factors, these stunning fountains enhance watergardens and create a place for relaxation year after year. 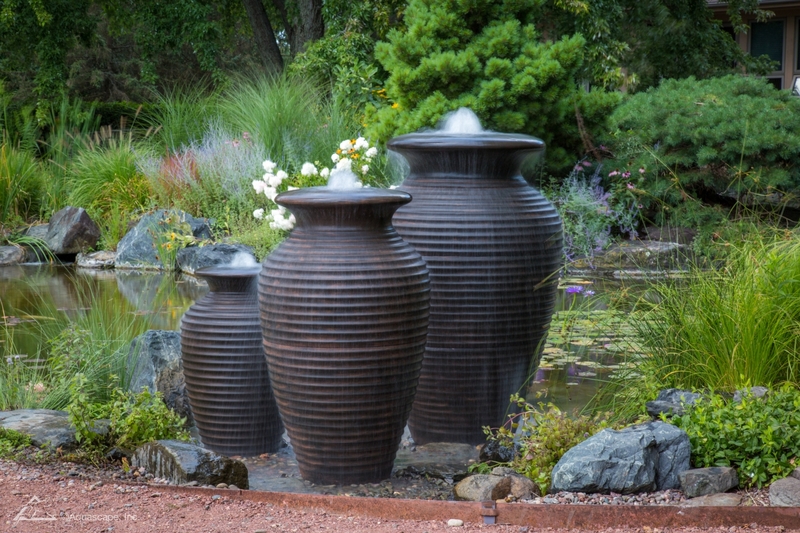 Watergarden urns come in a vast array of sizes, colors, shapes, and water flow. These urns are a highlighted product by aquascapes for one reason; they’re beautiful. What better reason for impressing your guests is there? This beautiful water feature is it’s own water garden by itself. 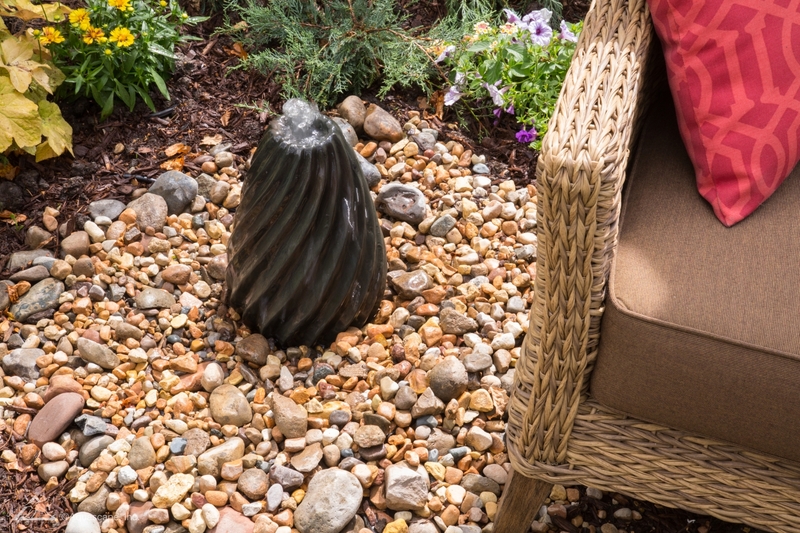 Placed in the middle of the patio, this feature can be admired by anyone that walks by. The sounds of the moving water in this watergarden provides a place of peaceful relaxation. Could you imagine pulling up a chair with your favorite beverage?